Perfect served ice-cold at barbecues or picnics, our Berry Basket Iced Tea brings the taste of lazy summer days to any occasion. 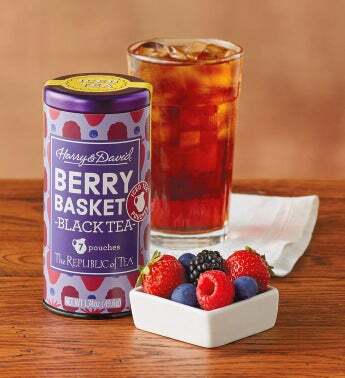 Enjoy a medley of blackberry, raspberry, strawberry, and blueberry infused with deep black tea. Simply brew and chill for a delightful taste and aroma as fresh as the summer breeze.